Tried and tested under sub-zero conditions where electronics would often falter and freeze, a mechanical Omega watch remains a testament to time. Just over a decade ago, two teams – one British, one Norwegian – were recruited to try and recreate the famed ‘Race to the Pole’ between Robert Scott and Roald Amundsen. "This is partly because most semiconductors used in circuits have what is known as a ‘freeze out’ temperature, below which they simply don’t work." Components inside smartphones, laptops and GPS units can be permanently damaged, possibly even physically cracking (plastics become very brittle at low temperatures) and these devices are highly vulnerable to condensation if they experience a broad range of temperatures, which again could be fatal to the functioning of the device. This is why mobile phone companies have a range of recommended operating temperatures – Samsung says its mobiles are good for -20°C/-4°F to +50°C/122°F and Apple says that its iPads should stay in their comfort zone of the 0-35°C/32-95°F range. This is partly because most semiconductors used in circuits have what is known as a ‘freeze out’ temperature, below which they simply don’t work. According to the website extremetemperatureelectronics.com (which is aimed at engineers/technicians working at the far ends of the temperature range), decomposition of the semiconductor material is also a risk, again leading to irreversible damage. But shouldn’t an old-fashioned wind-up alarm clock behave better than that? Was it possible that, at the low temperatures prevailing in the GB team’s tent, it could have ground to a halt because the lubricant oil in the movement became too viscous? After all, the points of contact with oil are the most vulnerable part of a watch movement. The freezing point of most watch lubricants is -30°C/ -22°F. But it is well known that thickening can be expected from -20°C/-4°F. 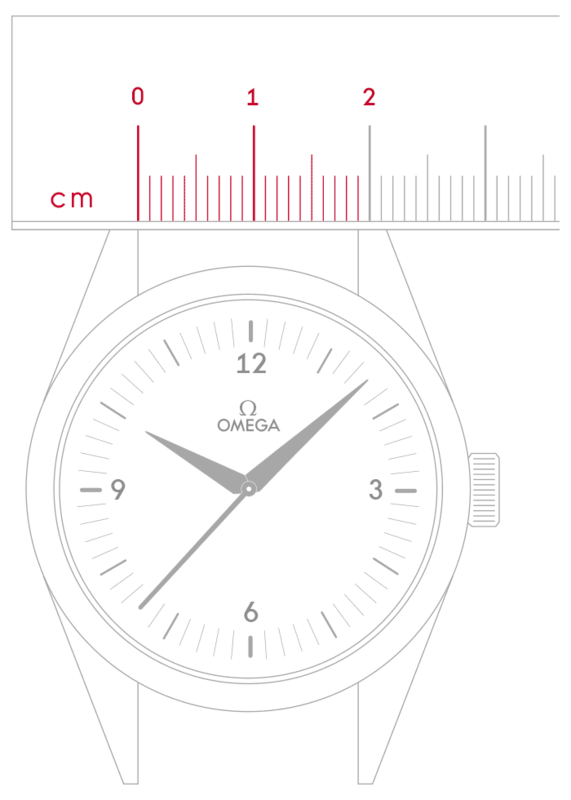 This is why for special edition watches OMEGA uses a specific type of oil that does not freeze until between -40°C/-40°F and -55°C/-67°F. Another possibility was that the contraction of metal components might have caused distortion. Cogs that turn with low torque could stop more easily than those with stronger torque. Whatever the reason, as Bruce Parry found out, a stopped clock can spell disaster. 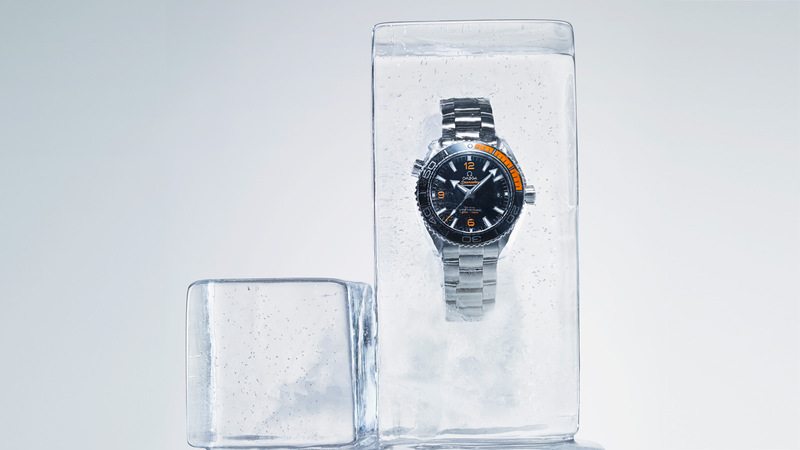 OMEGA Lifetime commissioned a test where an OMEGA watch was taken down to -70°C/-94°F in increments of five degrees Celsius and then returned to normal ambient temperature to see if it emerged unscathed. The watch chosen was the Seamaster Planet Ocean 600M Co-Axial Master Chronometer. To qualify as a Master Chronometer this model must pass a stringent series of tests approved and certified by the Swiss Federal Institute of Metrology (METAS), which interrogates the timepiece for resistance to variables including magnetic fields, temperature and water resistance, as well as testing average daily precision. Before that, during internal homologation, the movement is taken down to -20°C/-4°F. Once METAS certified, the Seamaster was inserted into a special cooler which took the temperature down from room temperature to -70°C/-94°F in increments of -5 degrees Celsius. A microphone was attached to the watch head to monitor the function as the temperature plummeted. After four hours at -70°C/-94°F, the watch was brought back to room temperature. It was no surprise that the watch stopped working at the lowest extreme. As expected, the oil coagulated and then froze well before -70°C/-94°F (the detailed data is still being analysed and processed as we go to press). But what the observers were also interested in was whether the effects of such a low, highly unnatural temperature were reversible. The results confirmed that the oil used in the watches did not deteriorate and functioned normally once it was back within its recommended operating temperature range. Furthermore, even though the watch had been subjected to such an extreme environment, once re-warmed it still passed the exacting METAS tests. This whole process was repeated with other Seamaster Master Chronometers and the result was always the same – life in the freezer did not permanently damage the mechanisms, which, as we know, is not a given for electronic systems. Another victory for the analogue world. But this isn’t the first time OMEGA has done this sort of work, because for many years OMEGA ran a secret cryogenic testing programme that for decades was shrouded in mystery and half-truths: the Alaska Project, horology’s very own Area 51. 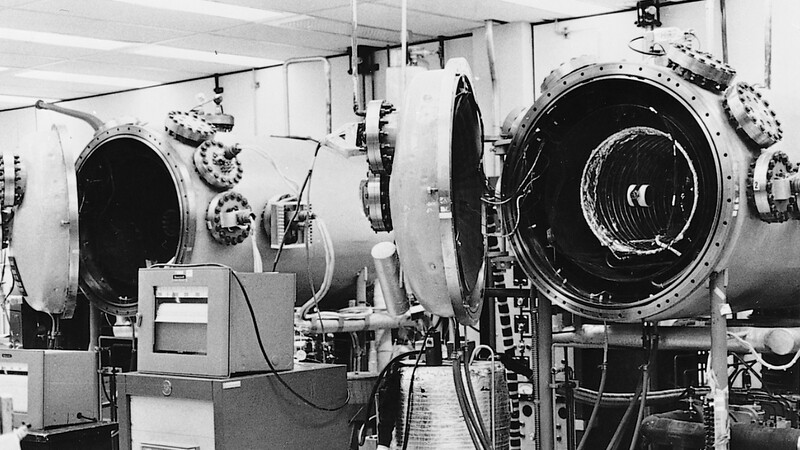 "For many years Omega ran a secret cryogenic testing programme that for decades was shrouded in mystery and half-truths: the Alaska Project, horology’s very own Area 51." In 1964, a young NASA aerospace engineer called James H. Ragan was tasked with designing a programme for testing a range of watches for performance under the extreme conditions that they might encounter during spaceflight (and, ultimately, a lunar landing). Ragan asked several companies to supply chronograph watches, including, through its US distributor, OMEGA. Ragan’s interrogation of the watches included a series of “Environmental Test Conditions”, including subjecting the timepieces to high temperatures, extreme pressure, high humidity, total oxygen atmosphere, shock, acceleration, decompression into a vacuum, vibration and acoustic noise, as well as low temperatures (very often in conjunction with another variable, such as high pressure). 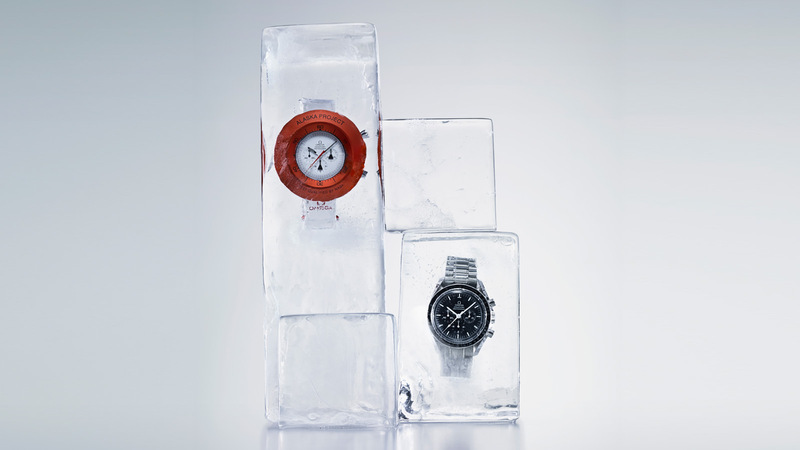 The cold tests involved taking the watches down to -18°C/-4°F for four hours, then warming them back up and testing and re-inspecting (not unlike the more rigorous tests commissioned by OMEGA Lifetime above). A parameter of -18°C/0°F might not seem that low compared to OMEGA Lifetime’s tests. After all, the temperature on the Moon’s surface can plummet to -200°C/-328°F; at the equator of Mars it can plunge down to -90°C/-130°F (-125°C/-193°F at the poles) and even the shaded side of an orbiting space vehicle can be -100°C/-148°F. For comparison the lowest temperature recorded in Antarctica is -89.2°C/-128.56°F; in January the inhabitants of Verkhoyansk in Siberia have to live with a bone-chilling average of -45°C/-49°F; in the same month, the Everest summit averages -36°C/-33°F, but can drop to -60°C/-76°F. (Remember, though, that a watch is unlikely to experience these excessively low temperatures in the real world – body heat and clothing modify the environmental conditions, so even if the mercury is way down, the watch is probably considerably warmer.) In fact, the Speedmaster had already shown it was capable of withstanding -18°C/0°F. In 1956, one of the watches was strapped on the outside of a Canadian Pacific Air line’s Douglas DC-6B that was flying the Polar Route to Amsterdam from Edmonton. After nine hours of exposure to the elements at up to 5,300m/17,500ft, including temperatures lower than -18°C/0°F, it was checked at Schiphol Airport by the captain and ground crew and found to be working perfectly. We’ll probably know the answer to the question about the choice of low temperature parameters decided for the NASA tests next year, when OMEGA and the Smithsonian release the results of their research into those pioneering watch trials in the early sixties. What we know for sure is that only the OMEGA Speedmaster passed all the Ragan tests with flying colours and it was designated “flight-qualified by NASA for all manned space missions” on 1 March 1965. What is interesting is that NASA had not commissioned a bespoke watch designed for space exploration. It had bought the future ‘Moonwatch’ as what it designates a COTS (Commercial Off-The-Shelf) product – the exact same model the public could purchase. Yet even before 1969’s Apollo 11, when the Speedmaster became the first watch worn on the moon when Neil Armstrong and Buzz Aldrin made their first steps on the lunar surface, Omega was determined to improve on their official NASA watch and to create the ultimate space timepiece. So, working directly with James H. Ragan, the engineer who oversaw all of the qualification procedures and tests at NASA, it created the top secret Alaska Project, a name that has created some confusion over the years. Space is cold and so is Alaska, but that is not why the name was chosen. It was simply a code name that Omega used internally at the time (and for all secret projects, even beyond the scope of NASA) in order to maintain confidentiality. It was designed to ensure the complete secrecy of the projects, as it was of utmost importance that its competitors (especially in the USA) would never know that OMEGA was working directly with NASA towards special projects and unique bespoke space watches. Furthermore, there was never one single Alaska Project, but a series of them, beginning in 1969, and numbered I-IV. 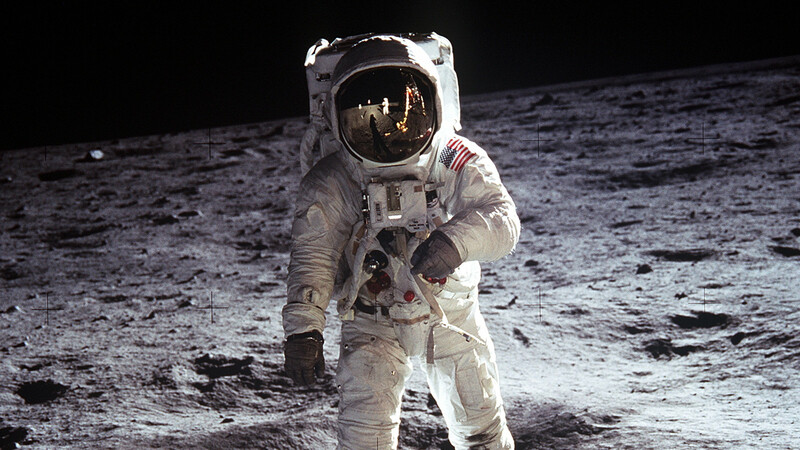 The first phase took place during the era of regular Moon landings (and of NASA’s oft-stated ambition to land on the far, dark side of the Moon) and produced the world’s first watch with a polished titanium case. In 1970, the prototype Speedmaster Professional space watches gained a striking new edition – an oversized red aluminium ‘doughnut’ cover. The aluminium, with its low thermal conductivity, was designed to act as a shield against low and high temperatures and the red cover colour protected against certain wavelengths of radiation. With the dome in place the watch could stand ambient temperatures of -148°C/-234.4°F to +260°C/500°F, an astonishing functional range of more than 400 degrees Celsius. These watches also had a white dial to reflect radiant heat and a long white strap with Velcro fastening for fitting over a bulky spacesuit. But public interest in the Moon waned. In December 1970, NASA cancelled the Apollo 18-20 missions due to budgetary constraints, which meant it no longer needed a dark-side-of-the-Moon watch and the project was shelved. So OMEGA’s Speedmaster ‘Moonwatch’ remained the only space-certified wristwatch. In 2008, however, OMEGA introduced the Speedmaster Professional Alaska Project calibre 1861, with only 1970 pieces produced – in honour of the year of its design – and, as with the original model, this Alaska Project Limited Edition came with a red outer casing and an additional long white strap. It is now a much sought-after collectors’ piece. NASA had a slate of new missions that required accurate timings, including one that looked back at our own planet. Skylab (1973-79) was the first orbiting space station and as part of its scientific mission it housed the ETC (The Earth Terrain Camera), which consisted of a single high-resolution camera which used five-inch film and an 18-inch focal length lens designed to produce images (black and white, colour and infra-red) of our world. So part of the next NASA/OMEGA cooperation, which became known as Alaska II (1972 onwards) involved the design and vigorous testing of special OMEGA timing devices with a mechanical tuning fork movement, used to time code the ETC’s photographs. In fact, you can spot the OMEGA logo on the superimposed clock present on all official ETC photographs. At the same time, covert work continued on prototype space watches, still based on the Speedmaster Professional. Skylab gave way to the re-usable Space Shuttle and OMEGA was on board with that project, too. After all, the Shuttle programme called for EVAs or spacewalks to be a routine part of operations. An accurate, easy-to-read and operate chronometer was an essential requirement for those astronauts, so OMEGA produced another batch of innovative prototypes for NASA, including ones using the chronograph tuning fork movement used in the ETC. Under the Alaska IV project OMEGA worked on modifying Speedmasters with LCD displays, at one point supplying NASA with twelve "space-proofed" Speedmaster Professional Quartz reference ST186.0004 for testing in training on the shuttle. However, NASA had re-evaluated the Speedmaster Professional and once again it trounced the opposition. It was re-certified for the Space Shuttle and the first 56 were delivered to NASA in late 1978. It was difficult, it seemed, to improve on a classic. "NASA had a slate of new missions that required accurate timings, including one that looked back at our own planet." Difficult does not mean impossible, though, and research is still ongoing. In 1998, OMEGA gave us the titanium Speedmaster X-33 with quartz movement, a watch that is still a regular visitor to the International Space Station, and which drew directly on knowledge and techniques gained from the Alaska I-IV projects. 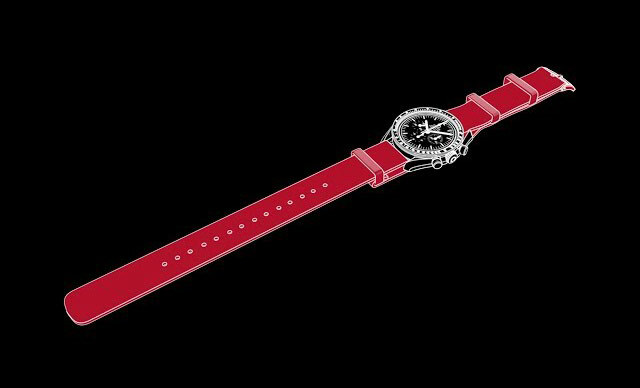 When it was launched it was nicknamed the “Mars” watch, after NASA’s next big goal. After all these years in space, though, the Speedmaster Professional remains the only watch certified by NASA for use on Extravehicular Activity (EVA). That doesn’t mean the X-33 or something like it won’t be braving those 110°C/ 198°F temperature shifts (+20°C/68°F during the day, -90°C/-130°F at night is not uncommon) and savage dust storms of the surface of Mars. After all, none other than James H. Ragan, the Group Leader responsible for the original NASA tests which gave us the Moonwatch, has said: “I believe there will always be a requirement for a personal chronograph on all future manned missions. I also believe that when the first astronaut sets foot on the Martian soil the chronograph that will be worn will be an OMEGA.” Given this was the man who selected the Speedmaster for space all those years ago, you certainly wouldn’t bet against him being right.